My kids are first generation Canadian. It's very important that they embrace their Canadian heritage, but I want them to understand and appreciate that they come from a Trinidadian background and all of the cultural traditions that come along with our very diverse heritage. Our family travels to Trinidad almost every year, they spend lots of time with their grandparents, we eat lots of trini food and we're always telling them about Trinidad and our days growing up there. So we've got it covered at home. Recently Cassia's class had a Heritage night. A lot of work goes into this night. 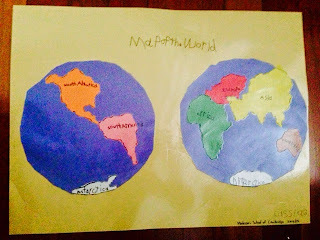 The children spend the entire month of February learning about different countries and cultures. They each choose a country and learn about it, its geography and culture and then they share it with the rest of the class. They ask each of the parents what their background is. Each child then spends time doing a map of the world and learning about different cultures and heritage. They also bring an item in from their heritage and make national flags for the countries of their ancestry. Heritage Night is a night the kids have been waiting for all month. They count down the days until the night is here. Each family brings a dish from their culture to share with the rest of the class…. Cassia wanted me to make a macaroni pie. After a delicious international dinner, the class sang songs that they practised all month. 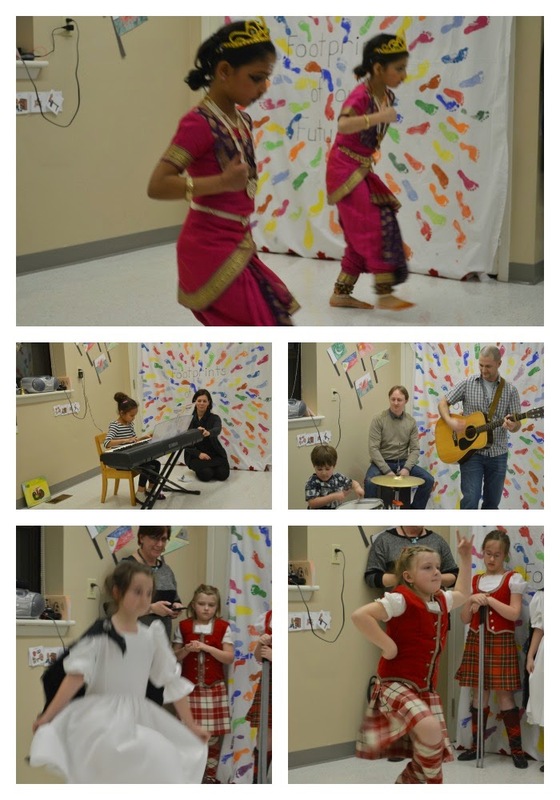 This year there was Indian folk dancing and Celtic dancing, piano playing and a band. It was very entertaining for both adults and children alike. I loved the idea of heritage night. I think it's so important to remind kids not only of where they came from but also teach them respect for other people's cultures, values and beliefs. I also think that it's important for kids to see not only their teachers who they hold in such high esteem showing interest, respect and understanding for the heritage of every single child in the class. This night was a fun way to do that. 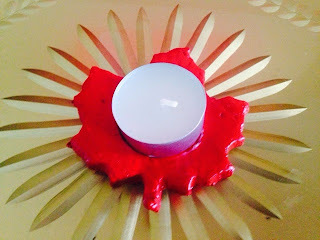 A token for each family to represent our Canadian heritage. Made, molded and painted by each child. Linking up for The Grateful Heart with Ember Grey because this night was certainly something to be grateful for. Heritage night sounds like a fun idea!! All schools should do that and I love seeing it done in the elementary setting. We do an annual "multicultural" day at our high school and it's always a huge success. Great post! LOVE! What a an awesome idea. Educational, fun and it gives the kids a sense of pride about who they are. So cool. More schools should do things like this. This is a GREAT idea. I remember researching and writing about another country and their culture as a kid. I chose Finland but it was not nearly as cool as this event where we got to share in the food as well as entertainment. I think that is so great! Your girls are so lucky you are making their heritage important.